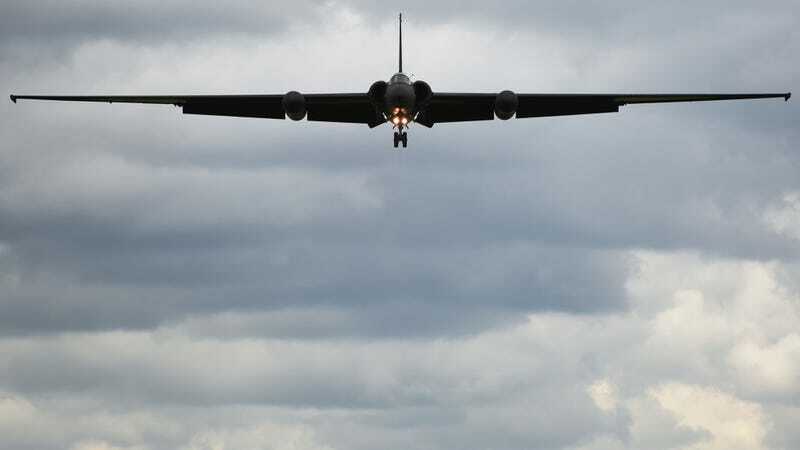 The Lockheed U-2 is a seriously cool plane. It’s super light and can fly at altitudes of 70,000 feet. And it needs fast cars to help it land and take off. Joking aside, there’s a reason why the U-2's 103-foot wingspan is so huge, and why it needs those outrigger wheels. At 70,000 feet, the air is unbelievably thin. To fly at that height, it needs to maximize the amount of the wings’ surface area in contact with the air, and thus it has those long, thin, delicate wings which need little wheels—called pogos—to keep them up on the ground, as former Jalop Sam Smith once noted. And then there’s the “coffin corner” issue to deal with. At those super-high altitudes, the difference of the plane’s maximum speed and the speed at which it stalls is incredibly narrow. Slow down from maximum throttle even just a little bit, and the spy jet falls out of the sky. So while this all seems to be a bit silly, it’s all very functional. Congratulations, Rosin, on your COTD win. May you always and forever need a chase car.